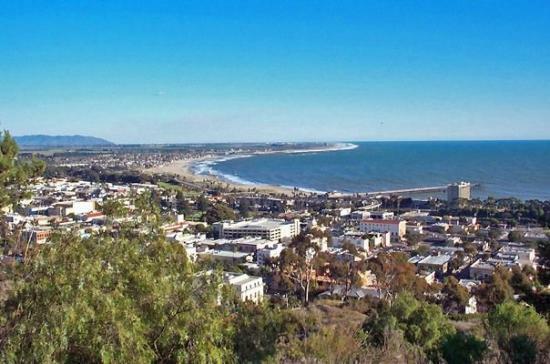 Khepera House in beautiful Ventura, California, gets its name from the Egyptian God of the same name. “Khepera” symbolizes the rising sun, regeneration and self-renewal, which is appropriate for an organization that runs a residential rehab and small sober living complex. The facility houses men only and has been doing so since it first opened its doors in 1982. The apartment complex which Khepera owns is arranged so clients get to live in one part for residential treatment and move to another unit for sober living. Clients share their bedrooms and bathrooms with one other client, but each guy has his own bed, closet and dresser. All meals are included in the price of stay at Khepera. Food is prepared by on-site chefs and communal dining is available but each unit is equipped with its own kitchen, as well. Sober living clients are allowed to leave the facility to go grocery shopping and prepare their own meals. Each man who wants to enter Khepera must undergo an initial evaluation to determine the appropriate level of treatment. Dual diagnosis support is available, detox is not. Those who need detox are referred to a nearby facility. The 90-day residential program includes evidence-based therapies such as CBT and DBT in both group and individual settings. Group therapy takes up most of the day in addition to at least one individual session each week. Group topics include relapse prevention, trauma, anger management and 12-step work. Clients are required to attend several 12-step meetings each week and to get a sponsor. Khepera staff includes an executive director, a house manager, two residential managers, a Master’s level social worker who serves as clinical director, three LADCs, a residential manager and a residential manager coordinator, as well as a senior resident coordinator. While a sober living stay is only available to those that complete the 90 day residential treatment program, Khepera remains an “at will” facility, which clients can decide to leave at any time. However, for those that are dedicated to it there is a strict curfew: Sundays through Thursdays at 10:45 pm, Fridays and Saturdays at 11:45 pm. Family counseling takes place on weekends. Clients are required to take part in one session of one-on-one counseling per week and are encouraged to go to off-site AA/NA meetings as long as they have their sponsor pick them up. On Wednesdays clients get to leave the facility to take care of their own business, like running errands and appointments. They are also highly encouraged to work or go to school and will be given passes for both of those efforts. Khepera House is a very particular case of a sober living house, only accepting clients into the sober living program that have previously undertaken its inpatient treatment component. What is positive is that Khepera has been in the business of recovery for over 30 years now, so they must be doing something right. For those who need a more intensive treatment that will continue into sober living, Khepera can offer that as a package deal at a reasonable cost. Do you have a complaint or review of Khepera House? Use the comments area below to add your review for Khepera House.